Make your special day feel like a million bucks with the ultimate wedding bar. Renowned Scottish whisky maker The Macallan is a master at marrying different spirits to create its award-winning single malts. Its new service, The Macallan Wedding Experience, has its sights on a different type of union—that of two kindred spirits coming together in the bond of holy matrimony. Marketed as a convenient, intuitive full-service package, The Macallan Wedding Experience can be tailored to complement and elevate the joyous occasion from special to truly unforgettable. Taking the spotlight is The Macallan Double Cask 12 Years Old. Created by Master Whisky Maker Bob Dalgarno and his team, the whisky is a blend from two different kinds of casks—European and American Oak. The whisky is influenced by its maturation in Oloroso sherry-seasoned casks, carrying the aroma of creamy butterscotch and newly felled oak, with a full-bodied palate of wood spices, citrus and caramel. The oak lingers in the finish, warm and sweet. To symbolise the commitment of the bride and groom, a master artisan can engrave their names on the bottles of the Double Cask 12 Years Old. The happy couple can also co-create The Macallan bespoke cocktails according to their tastes and preferences. 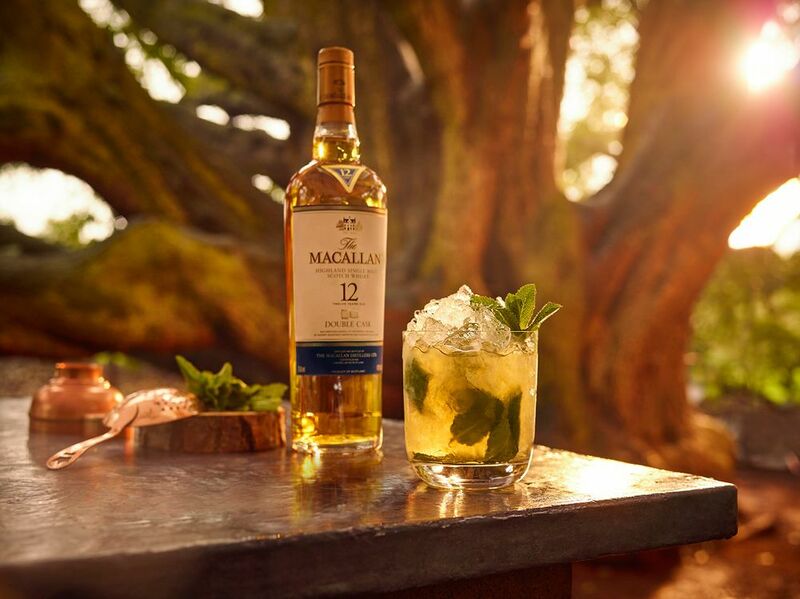 Served by professional mixologists at the customisable wedding bar in elegant The Macallan glassware, the cocktail will be an expression of the couple’s love for one another. Of course, The Macallan Double Cask 12 Years Old is also a versatile drink, and can be enjoyed neat or poured over a perfectly-shaped ice sphere. The service even extends outside the wedding. Whether it is an exuberant bachelor or bachelorette party, or a refined, luxurious after-wedding soiree, The Macallan will work closely with trusted venue partners to not only find you the right place for your festivities, but provide you with a bottle of The Macallan to get the party started. For all enquiries, please contact Weddings@TheMacallan.com.